Die casting is a type of metal casting, characterized by its process of forcing molten metal into a mold cavity under high pressure. This mold cavity is made using two hardened tool steel dies that have been machined into shape, working much like an injection mold. Most die castings are formed from non-ferrous metals, such as zinc, copper, aluminum, magnesium, lead, pewter and tin-based alloys. Miniature die castings are made under a similar casting process. Miniature die casting, however, employs machines and dies specifically designed for the production of small parts. This casting process presents quite a few advantages. Miniature die castings are capable of holding very tight tolerances as-cast, up to approximately +/- .001″, with walls as thin as .020″ and parts as heavy as .75 pounds. Miniature die casting allows for complex net shape, flash-free parts with all kinds of unique features and specified tolerances. It also requires no post-casting machining and eliminates the necessity for gate removal through automated degating or part-on-part deburring. Additionally, tooling costs are much lower than conventional die cast tooling costs. This is because this type of die casting does not require a trim tool, and the tools it does require are much smaller. With possible cycle numbers averaging up to 1MM, miniature die castings also offer the advantage of long life. 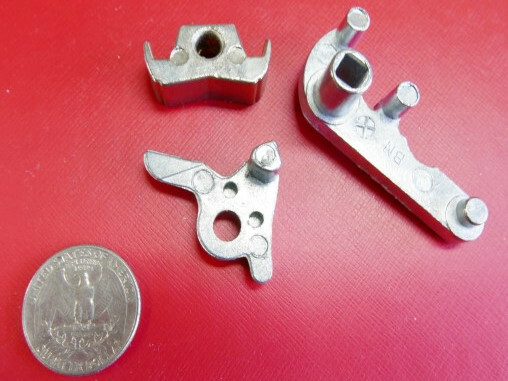 Fast cycle times contribute to the low cost of miniature die cast parts. 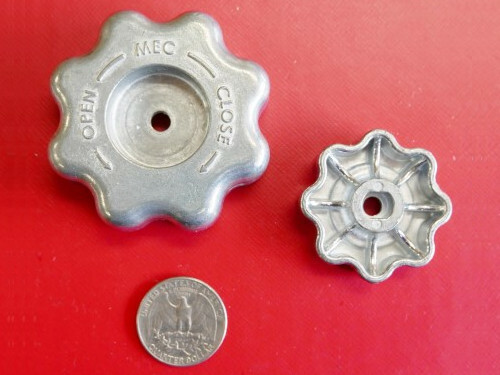 In comparison to conventional die castings, miniature die castings cost pennies on the dollar. Miniature die castings can be used in a variety of industries, such as medical, dental, electronics, transportation, recreation, alternative energy and general industry. Possible applications for these castings are nearly endless. Just a few examples include: tank adaptors, lock components, valve assemblies and electronic components such as jam nuts. Manufacturers generally offer many standard and custom options for specification and application requirements. These options may relate to casting size, section thickness, variation in section thickness, draft angle, ejector pin marks and threads, gears and gear teeth. Parting line selection is a decision made by the caster, who will consider factors including ejection, configuration coring, finish speculations, gating, type of die and flash removal. Partnering with the right team will ensure miniature die castings that will serve you for years to come.